Have you ever tried to learn and new language and found it overwhelming and given up ? All successful Trainers and Leaders know that Learning new things is always state dependent which means, if you feel great as you are learning, learning becomes easy and fun. If you feel bad while you are learning, you will become reluctant to continue learning and you will loose confidence in your application ability. If you want to learn something new the best way to do it is enjoy it, have small fun chunks and begin to reward yourself with successful application and practice. If it is not fun and easy after time, many slowly let it slip through their fingers and practice less and less until they have come to a grinding halt. What about you learning NLP what are you doing to make sure you are improving in this area ? A learning strategy should become a regular habit as it then becomes quite unconscious behavior and bypasses the critical faculty that stands like a watch dog on all new processes. Quite simply it becomes a part of you and how you do things without even thinking about it. Here are two such ladies who have been very creative in their applications of Teaching English to Italian speaking language students. 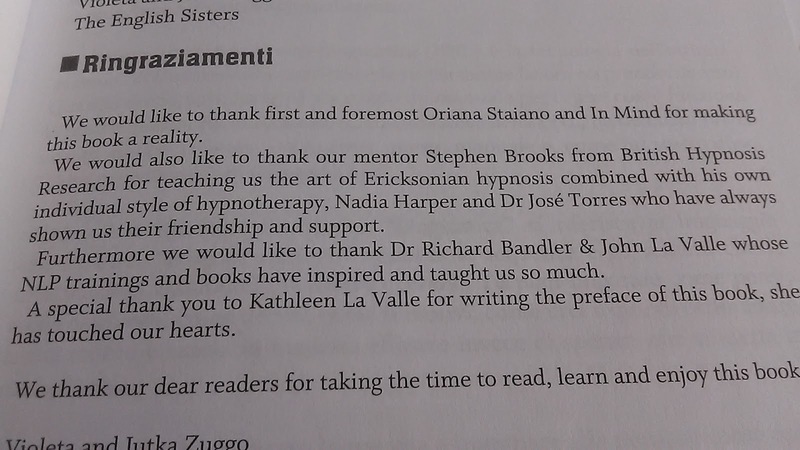 "The English sisters" Violeta and Jutka Zuggo use hypnotic language and NLP to teach English. If you are interested in reading their clever English language book and finding out how they apply these techniques I highly recommend their book Don't Learn English smile . You can also use it to learn Italian too so give it a go. 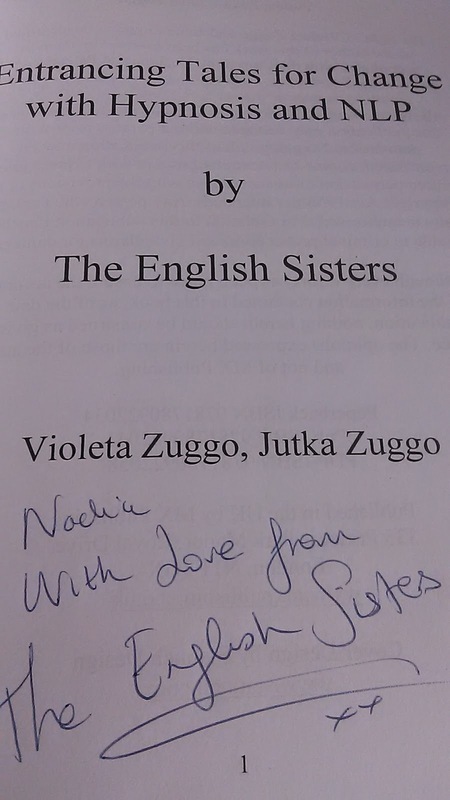 I am very pleased to be friends of yours for all of these years Violeta and Jutka Zuggo. If you want to relax and enjoy more of the English sisters watch their video channel called HypnoRamblings . I will tell you they are pretty addictive once you watch one, you will be deliciously hooked on these beautiful and entertaining sisters. 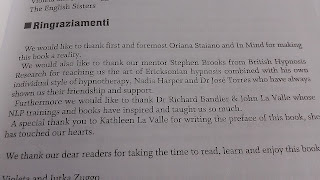 They even have a book out called "Entrancing Tales for a change", which is about motivating change in people btw a great use of language in their title. I have a treasured hand signed copy. Just love these Ladies, they have also written Beautiful Children's Book and how to get stress free in 3 minutes. They offer such a valuable contribution. 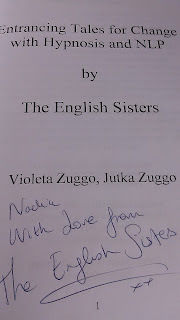 The Violeta and Jutka Zuggo of (The English sisters) are pioneers and have created their own category in everything they have gone after. They have made their mark as Language teachers, Authors and now Luxury vintage lighting, you can go to their website here. The English sisters are fabulous net workers and great Businesswomen to model. You can connect with them by liking them on Facebook and following their updates on Twitter. What about you, what will you Pioneer, what will you create ? The English sisters have shown us, That flexibility and determination is key and whatever you do, be sure to have some fun with it along the way.